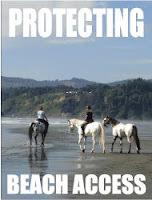 The Humboldt County Board of Supervisors unanimously approved roping off the designated snowy plover breeding areas on Clam Beach, despite arguments from some community members that the fencing isn't necessary and may actually be doing more harm than good. The supervisors said they can understand the community's concern, but felt it was necessary to allow U.S. Fish and Wildlife to continue with their research. ”I think it's important to look at the big picture,” Chairman Clif Clendenen said. 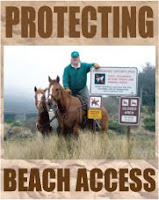 The county has been roping off designated areas of Clam Beach to protect the western snowy plover since 2004 as part of the Clam and Moonstone Beach County Parks Access Management Master Plan. The snowy plover is listed as threatened under the federal Endangered Species Act. The county's management plan calls for the symbolic fencing to be in place during the plover breeding season, which typically runs between March 1 and Sept. 30, according to a county staff report. Several residents spoke against the fencing, saying that the data gathered by scientists seems to reflect that the fencing isn't working, and that the fences may actually be a hindrance to the population and the people who use the beach. ”Doing more of the same is crazy,” Bayside resident Karen Brooks said to the board. Brooks and other residents cited a 2008 report about snowy plover breeding composed by the Department of Wildlife at Humboldt State University and Mad River Biologists. The report said nesting at Clam Beach was “especially low,” with a 5 percent hatching success in 2008. Additionally, the report said 2008 yielded “the lowest productivity in the last eight years,” in Del Norte, Humboldt and Mendocino counties. One graph in the report showed that Clam Beach areas had no chicks fledged in 2008. Bayside resident Uri Driscoll said the report pointed to the beach habitat as unfavorable breeding grounds for the plover due to predators, weather conditions and a lack of camouflage. ”None of these limitations will be altered by this symbolic fence or any other public restrictions,” he said. Jim Watkins with the U.S. Fish and Wildlife Service said there are many factors that are considered when determining the success of the population. He said while the numbers are down for the fledgling population, the trend is reflective across the West Coast, not only in the roped-off areas at Clam Beach. He also said the service was looking into predatory management, which can mean practices that do not necessary harm predators, but discourage them from being on the beach. Watkins said residents may only be pointing to parts of the report that back up their points of view and not to the report as a whole. The report said the last three years overall show favorable numbers for Clam Beach nesting, with 37 percent of 41 chicks fledged compared to the three years prior to the fence being in place, which had 15 percent of 33 chicks fledging. ”These data indicate that symbolic fencing is a useful and cost-effective tool for managing the negative effects of human activity on plover reproductive success where breeding plovers and high human activity occurs,” the report said. The board also voted to approve the temporary closure of Clam Beach to vehicle access. The county staff estimated between 75 to 100 vehicles were damaged after trying to drive through Patrick's Creek, which runs in front of the Clam Beach vehicle access gate. Staff said they have tried to put up signs to warn motorists of the potential risks, but it is not effective enough. In January, oil spilled from one car, causing a potential hazard to the river, prompting the county to close the gate until water levels become low enough for crossing. Staff will monitor the conditions and determine when the water is shallow enough to no longer pose a health and safety risk. Several members of the audience asked the board to look into creating an alternative vehicle entrance to the beach, especially for those visitors who aren't able to enjoy the park without a vehicle due to mobility issues. Mike Sgroi, a park host who helps to monitor the activities at Clam Beach Park, said he has seen many drivers ignore the warnings and go forward with the crossing. ”I own a 4 x 4 (vehicle), and I won't cross it,” he said. Third District Supervisor Mark Lovelace had his own words of wisdom for the crossings. ”You can buy a four-wheel drive, but you can't buy good judgment,” he said..
Donna Tam can be reached at 441-0532 or dtam@times-standard.com. FAIR USE: Material is made available for educational purposes, to advance understanding of human rights, democracy, scientific, moral, ethical, and social justice issues, etc. This constitutes a ‘fair use’ of any such copyrighted material as provided for in Title 17 U.S.C. section 107 of the US Copyright Law. In accordance with Title 17 U.S.C. Section 107, the material on this site is distributed without profit to those who have expressed a prior interest in receiving the included information for research and educational purposes. If you wish to use copyrighted material from this site for purposes of your own that go beyond ‘fair use’, you must obtain permission from the copyright owner. Where possible they are named, credited and linked.